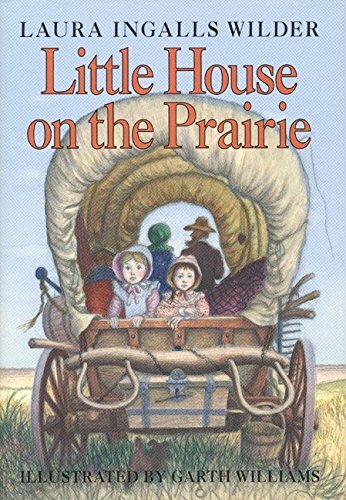 When I was a kid, nothing made me happier than to sit down with one of the Little House books. I found them entrancing for reasons that I can’t really explain other than to say that learning how people lived a century ago was just endlessly fascinating. “Pioneers,” as we now call that massive amount of people who settled the lands from the Ohio River to the Pacific Ocean, were an odd bunch of people. It seems like when you read about pioneers, the challenges they faced were always huge. Their victories were also always huge. They defined self-sufficient, after all. This is a real “chicken and the egg” kind of question, and it’s haunting companies around the world, big and small, b2b and b2c. I sort of wondered, as I searched for an answer to this question, how the pioneers would have responded to similar questions in reference to the famous “Go West, Young Man.” See, the pioneers had heard that “the West” was this great new frontier. They saw all kinds of studies showing that wheat and corn could grow in Nebraska just by planting seeds and singing a song. They were hearing stories about gold and silver and all sorts of other valuable and wonderful things. That’s not too dissimilar from the way a lot of companies are hearing about Social Media I think. Facebook is the land of gold. Twitter is a wide open field just waiting to be planted. The sky’s the limit and the horizons are endless. The amazing thing about the pioneers, it occurred to me, is that they didn’t have the time or the luxury to ponder our modern-day “how are we going to do this?” questions. Even though the West seemed limitless, everyone knew that the land would have to run out eventually. A farmer in Virginia or a struggling merchant in New England couldn’t wait around and see how his buddies were doing. He couldn’t flounder over whether the risk would ultimately pay off. He had to go and hope for the best. Today, we have the ability to do research, but it’s a right that often isn’t taken advantage of. We have the opportunity to learn about problems that could be comparable to a Summer of grasshoppers…say, a Facebook “like” page that isn’t attracting any likers (I still like fans better, sorry). We could do some detective work and find out that sometimes there are really big raging prairie fires, something like the story about a guy that went into a town to meet with a big client, tweeted that he had arrived in a town that totally was crap, and then met with the client to find that everyone had seen his tweets. I think it’s kind of sad that we can’t, or at least shouldn’t, carry our pioneer heritage with us into efforts to market our companies and products and brands via Social Media. We all want to be trailblazers. Even if none of our competitors are on Facebook or Twitter yet, there’s that gnawing desire to squat on the land, build a sod house of a fan page, and kick everyone else off when they come a’knockin. But factually, jumping into Social Media these days without doing the advanced footwork and planning can be downright dangerous. It can be like taking one of those shortcuts through the mountains that weren’t clearly mapped out and actually ended up being dead ends or long ways around. None of us want to be the Social Media version of the Donner Party, right? There are still plenty of ways to be pioneers in the business world and/or in the marketing world. You can still pave the way to new and exciting ideas. You can still try other things before your competitor tries them. But Social Media is not something we should jump into just because we heard it has worked really well for somebody else. Not everybody struck gold in 1849. Not everybody found an oil well in their back yard. Being methodical and asking the tough questions may not be quite as romantic as being a swashbuckling adventurer, but it’s far more preferable than the alternative.